1958 mid-century modern home on approx. 3.3 beautiful, wooded acres. The architect/owner designed home to embrace the beauty of the land & is the first time in 60+ yrs that it has been offered for sale. 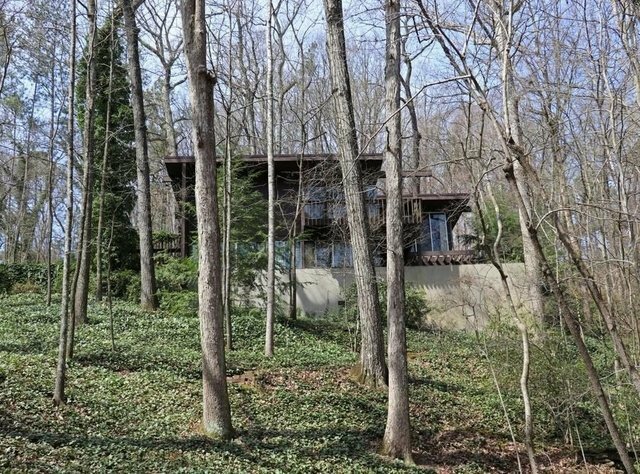 Step into a wooded oasis w/floor to ceiling glass windows & tiered decks overlooking cascading stream. Escaped to the privacy of your own mountain like retreat while being only a short walk from fabulous restaurants, shops & services of Vinings Jubilee. Property is one-of-a-kind home on acreage in Vinings w/room for personalization or breathtaking development site.